The SCTAA met on September 23, 2013 with 40 in attendance including visitors: Sam Heller and Curt Hollifield; and new 2013 member Bob Burns and new 2014 member Doug Gillett. The meeting consisted of several reports: Robert Weaver reported that the Low Country Hunt was "just okay". 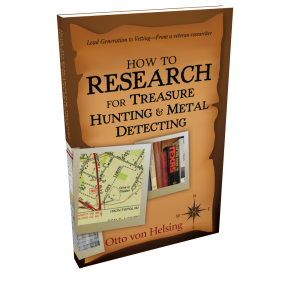 Greg Parma reported on his experiences metal detecting in England along with the differences in clubs. There, membership is limited and there is a waiting list. Farmers are paid by the participants who then hunt their lands. Bill Guthke shared research he's done on (hard to reach) sites that might produce artifacts. Randy gave tips on competition hunting for our coming hunt and advised that the proposed, then cancelled, hunt to assist the Park Rangers at Ninety-six Battlefield was cancelled due to budget shortages and may occur in the future. Officer nominations will take place in October and be voted on in November. August treasury ended with a balance of $1,260.40. We collected: 2013 Memberships - $50; 2014 Memberships - $75; Money Donations for Points - $90; donation can - $17.78; Lake Lure Hunt fees - $390. The amended closing balance is $1,883.18.